Genesis is about our beginning. The bible tells about Adam & Eve. They ate from the forbidden fruit and inherit sin. Their first child was therefor born with sin. 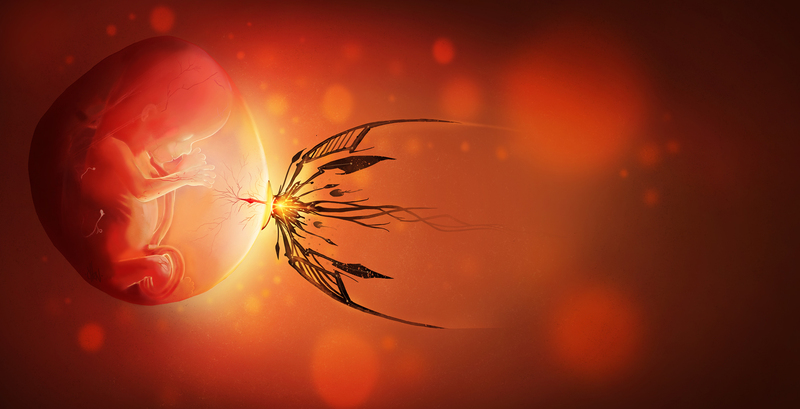 I liked the idea to create that first embryo in Eve's stomach and create Sin, that is trying to get into the embryo. Hope you like the idea.